The United Nations Environment Programme (UNEP) Regional Seas Programme is an international collaborative approach to protect the marine environment and its resources. Launched in 1974 by UNEP, the main aim of the Regional Seas Programme is to address the degradation of the seas by engaging neighbouring countries in a collaboration to support the achievement of international environmental and development targets (e.g. the Aichi Biodiversity Targets and the Millennium Development Goals). The UNEP Regional Seas Programme now supports more than 140 countries in marine resource management through their participation as Contracting Parties to 18 regional level programmes around the world 1. These regional consortia of contracting party countries are referred to as Regional Seas Programmes or, where applicable, Regional Seas Conventions and Action Plans, which is the mechanism by which the programmes deliver their activities. The aim of the UNEP Regional Seas Programme is to address key marine issues such as coastal management in the face of accelerated development, land- and sea-based sources of pollution and litter, environmental pressures on Small Island Developing States (SIDS), and the future of marine ecosystems and biodiversity. In each region, these issues are dealt with on the ground by the individual Regional Seas Conventions and Action Plans (RSCAP). Regional Seas Conventions and Action Plans often have a remit to establish Marine Protected Areas (MPAs), working with their Contracting Party countries to set up national MPAs. Some Regional Seas Conventions and Action plans, such as OSPAR and the Barcelona Convention, also have a mandate from their Contracting Parties to establish MPAs beyond national jurisdiction. Following a strategic partnership initiated in 2004, NOAA's Large Marine Ecosystems (LME) are used as units for ecosystem-based management within each Regional Seas Programme 2. Furthermore, the UNEP Regional Seas Programme is partnered with key global conventions, including the Convention on Biological Diversity (CBD), the Convention on Migratory Species (CMS) and the UN Convention on the Law of the Sea (UNCLOS). As part of these partnerships, the Regional Seas Programme aims to contribute towards reaching the international targets set by the CBD, such as reaching at least 10% coverage of important marine and coastal habitats within MPAs and controlling or eradicating priority alien invasive species (AIS) by 2020 1. There are 18 Regional Seas Programmes, with programmes in all the world's oceans. UNEP administered- These have been established by UNEP and are directly administered by UNEP. As such, UNEP has the responsibility for secretariat functions through a Regional Coordinating Unit in the region. Other duties of UNEP include managing finances and providing technical assistance to Contracting Parties. Non-UNEP administered- These have also been established under the auspices of UNEP but another regional organisation provides the Secretariat and administrative functions. However, they are still part of the global Regional Seas Programme and continue to participate in all cooperative activities. Independent - These programmes have not been established under the auspices of UNEP, but they participate in the global Regional Seas Programme meetings and support other developing programmes where possible. Each Regional Seas Programme is governed through one or more Regional Activitiy Centres (RACs) and a Secretariat or a Regional Coordinating Unit (RCU). RACs carry out the activities agreed by the Contracting Parties through action plans or conventions, usually at sub-regional or national levels. They report directly to the RCU, which has the overall responsibility for implementing the decisions of Contracting Parties, along with other administrative and political functions. Each Programme can have several RACs depending on its activities, but only has one RCU. The activities of each Regional Seas Programme are organised through Action Plans or Conventions 3. Action Plans outline the strategy for the programme, and are based on the region's specific environmental concerns. Common topics in Action Plans include the need for environmental assessments, management plans, financial agreements and institutional arrangements. Although Action Plans are agreed upon by the participating governments, they are not legally-binding. Action Plans become legally-binding if accompanied by a Convention which established the legal framework for the Regional Seas Programme. Some, but not all, Regional Seas Programmes have adopted Conventions through which Contracting Parties commit themselves legally to the agreements mentioned in the Convention. Usually, each Convention is accompanied by more specific protocols which address individual problems such as oil spills, pollution or particular ecosystems. United Nations Environment Programme Regional Seas Programme and the National Oceanic and Atmospheric Administration [NOAA]. (23 December 2014). 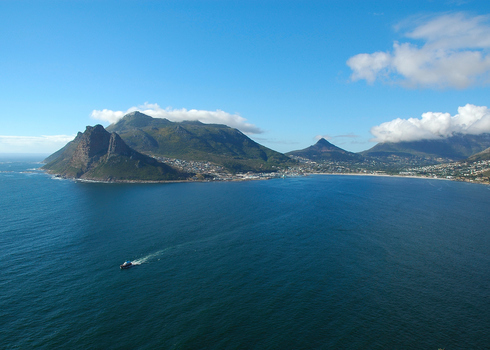 UNEP Regional Seas Programme Linked with Large Marine Ecosystems: Assessment and Management. Johnson et al (2014). 'Review of ecosystem-based indicators and indices on the state of the Regional Seas'. UNEP (DEPI)/VW.1/INF.1. Regional Seas Visioning Workshop, Geneva, Switzerland, 3-4 July 2014.